When Erik Freese’s body fails, so does his business. 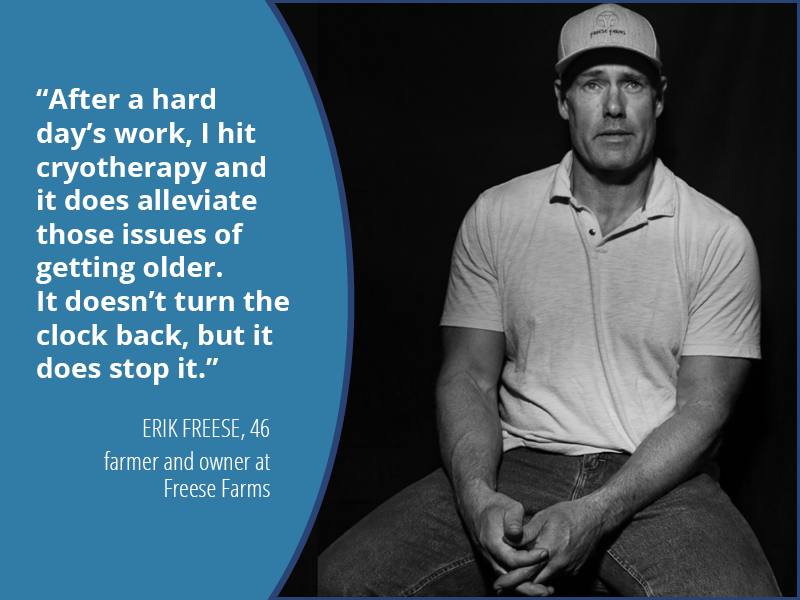 Owning a farm means putting in hours of hard physical labor – whether your body is sore, hurt, in pain or otherwise suffering, Freese said. Since Erik discovered US Cryotherapy more than a year ago, those sore muscles and chronic pain have been greatly reduced, he said. Empower your wellness. Find a location near you and schedule your appointment today. US Cryotherapy provides whole body relief, recovery and rejuvenation using the most advanced technology in holistic healthcare and recovery.